ePublishing Knowledge BaseePublishing Knowledge BaseePublishing Knowledge Base Reports and AnalyticsHow do I view usage data on articles, products, directory listings and other content? The ePublishing Report Center provides you with pre-defined reports so that you can analyze how users are consuming your content. However, it should not be considered a replacement for your existing analytics package. Basic ePublishing Analytics Report found on your site at https://www.yourdomain.com/reports/analytics. You will need to log in with your admin tool account to see this page. More information on this report is found here. 1. To access the Report Center, click on the type of report you'd like to view next to Report Center under Editorial on your dashboard. Most popular is based on site rankings or reviews and is not available for all websites. 2. 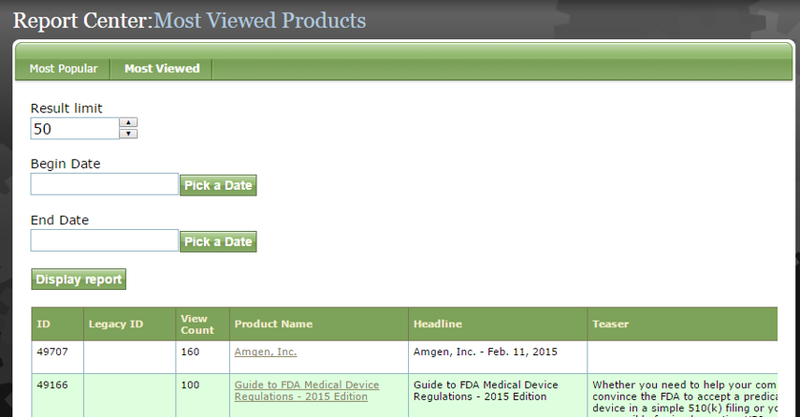 To view reports for Articles, click Article. Zoom: To view reports for Articles, click Article. 2.1. Click which report you would like to view: Most Popular, Most E-mailed or Most Viewed. Zoom: Click which report you would like to view: Most Popular, Most E-mailed or Most Viewed. Select a begin date and end date if you'd like to limit the time frame in which you are viewing reports. 3. 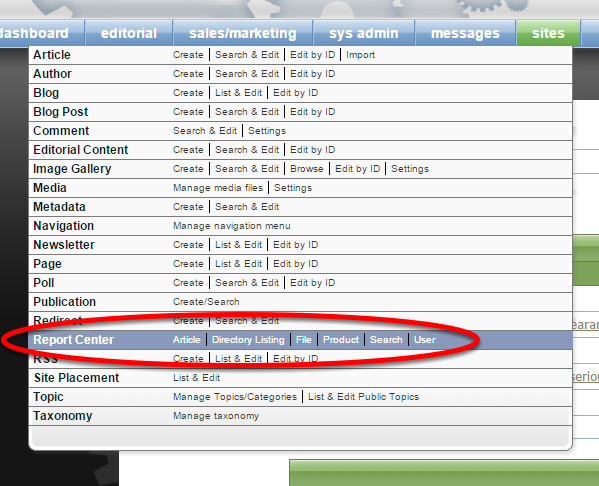 Download reports on directory listings by clicking on Directory Listing. These are also called buyers guides by some ePublishing clients. 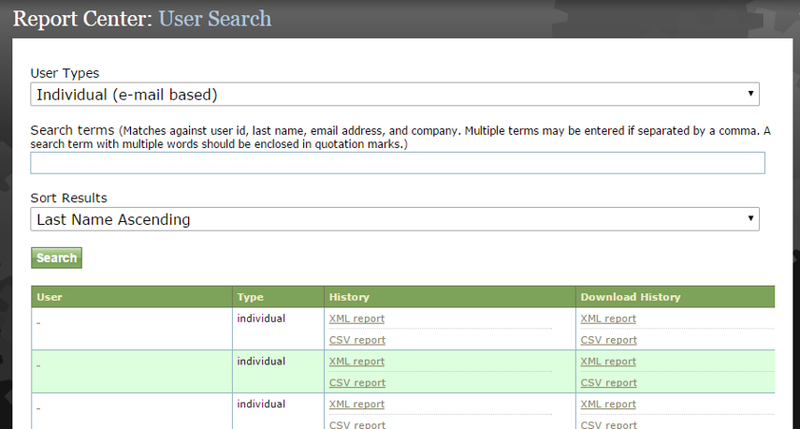 Zoom: Download reports on directory listings by clicking on Directory Listing. These are also called buyers guides by some ePublishing clients. View the history, download a Lead Report or get data on Most-Viewed listings by clicking on the appropriate link at the top of the page. 4. To view download reports for Files, click File. This includes both PDFs and audio and video files. Zoom: To view download reports for Files, click File. This includes both PDFs and audio and video files. 4.1. 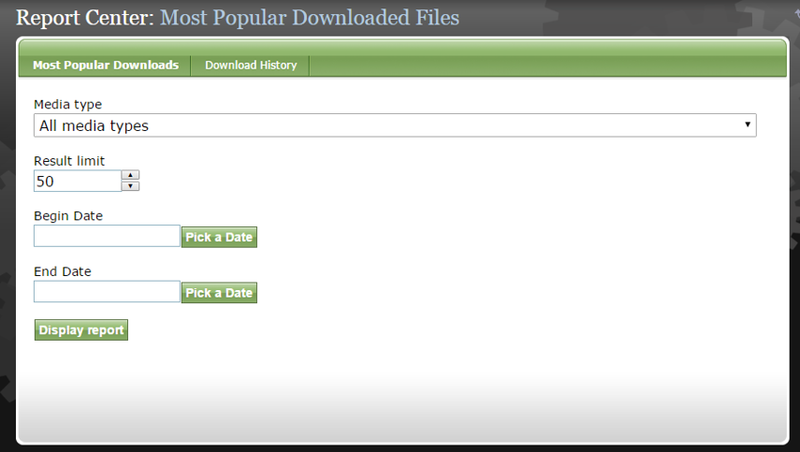 Click Download History to view a full history of downloads on your website. You may sort by Media type or search for specific files. 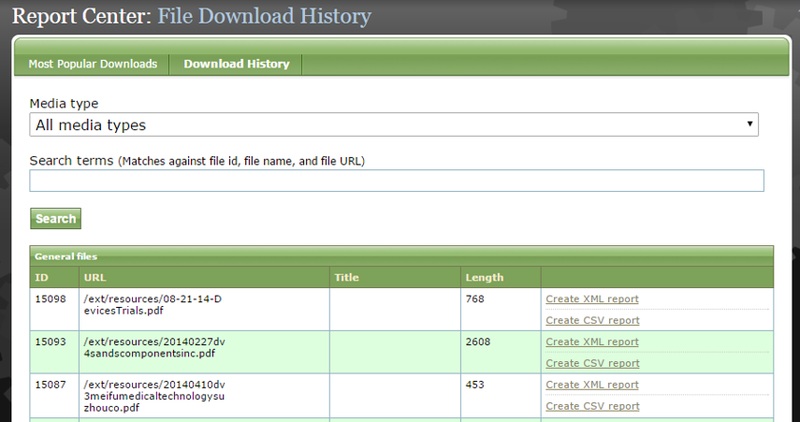 Zoom: Click Download History to view a full history of downloads on your website. You may sort by Media type or search for specific files. 5. Get data on how often your products are viewed by clicking Product. Zoom: Get data on how often your products are viewed by clicking Product. To access order history, visit the Order Manager. Learn how to manage orders in: How do I manage store orders? 6. 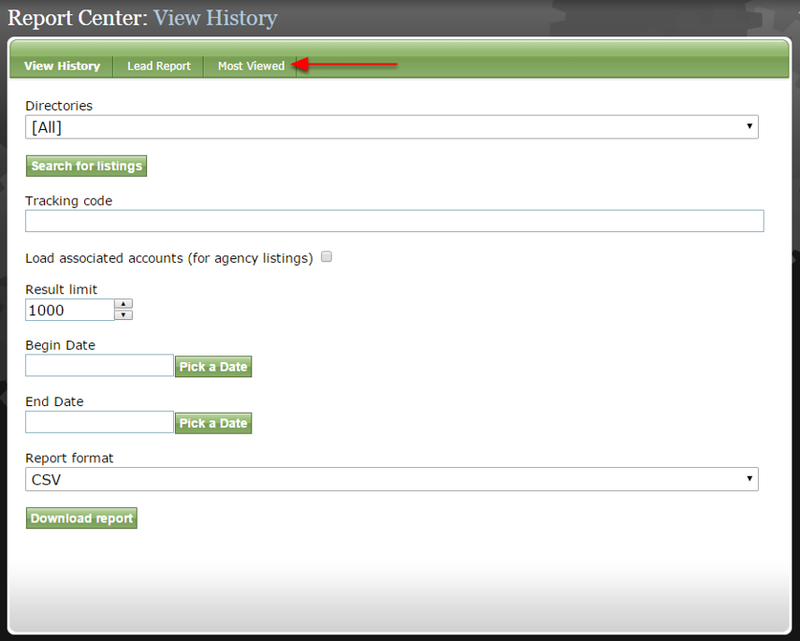 To access User-based reports, click on User. Download user reports by clicking on XML report or CSV report, the latter of which you can open in Excel. Zoom: To access User-based reports, click on User. Download user reports by clicking on XML report or CSV report, the latter of which you can open in Excel. Prev: When downloading a User Manager report as an Excel file, why do I see an error when trying to open an Excel file? Next: How do I turn the right rail on or off on a user's profile?